24me V – Our Biggest Version Yet! 24me V (Version 5) is our biggest update to date. 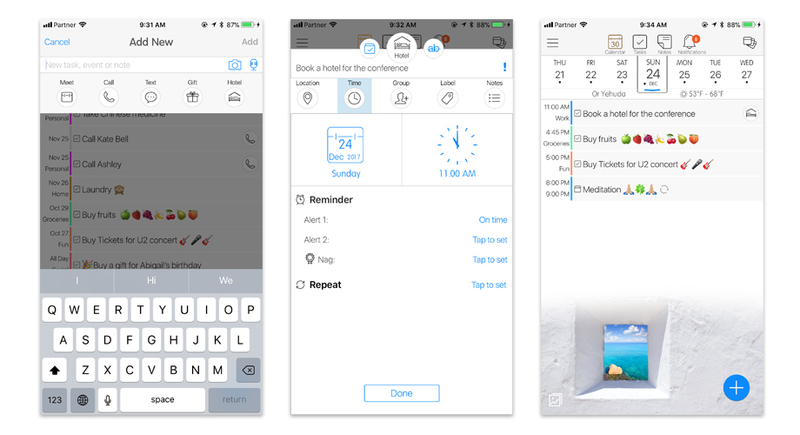 It includes support for iPhone X, integration with Amazon Alexa and Siri so you won’t need to open the app to add reminders, New Partnership with Booking.com to book a hotel right from the calendar, Hundreds of new gifts from top selling vendors just in time for the holiday season, and last but not least, some of our most requested features – support for landscape mode, new calendar views: Day, List, 3-days, Week, Month. Available for Apple Watch and localized to 14 different languages! We are thrilled to introduce 24me V, our most anticipated and H U G E update to date, which is available now on the App Store for you to download. We created 24me V to offer the best personal assistant experience. It includes more than 50 new unique features, crafted with a fresh design – just in time for getting organized and boosting productivity for 2018. 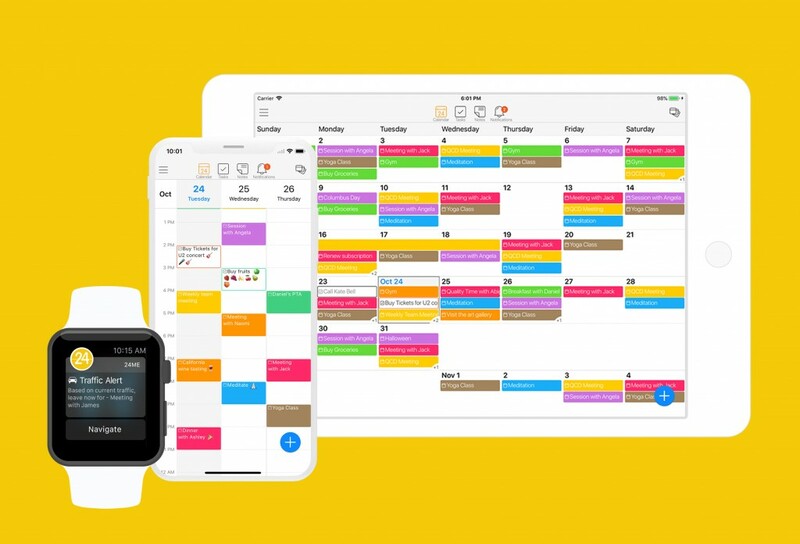 6 Unique Calendar Views – It’s finally here. You asked – and we delivered! 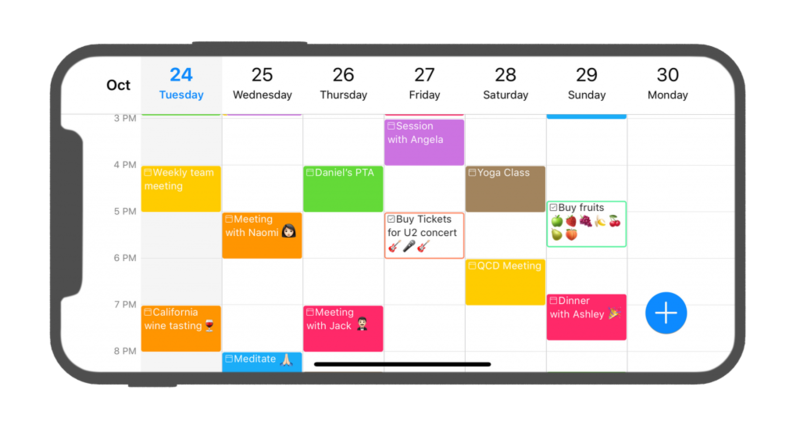 24me V includes support for 6 unique calendar views: Day, List, 3-days, Week, Month, and also full support for Landscape mode for iPhones and iPads. To switch between the views, tap on the button on the right hand side of the top bar, and choose the view you prefer. Support for iPhone X – We are always happy to be among the first to support the latest technology from Apple. Enjoy using 24me V with the latest technology from Apple. 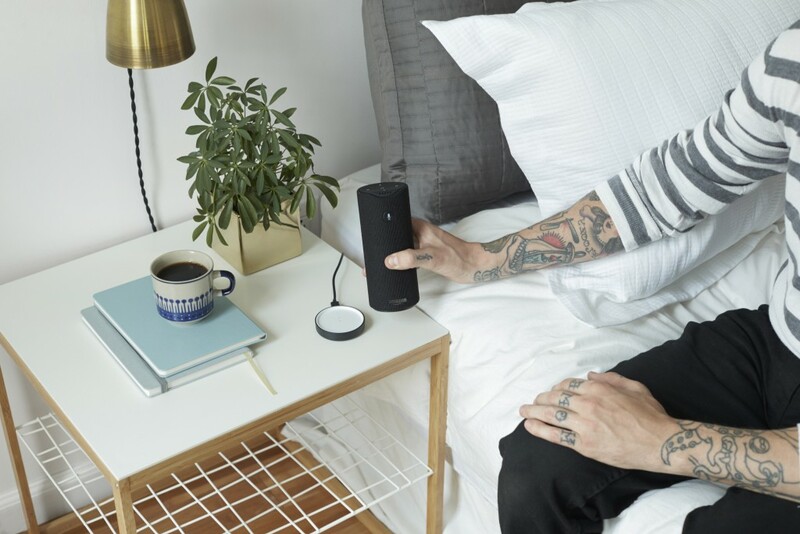 Collaboration with the top assistants – This new version of 24me uses a unique integration with Amazon Alexa and Siri that will allow you to add tasks without even opening the app! With Alexa, you can simply say – “Alexa, open 24me and add a new list for Christmas” or “Add task to organize dinner tomorrow at 5pm”. 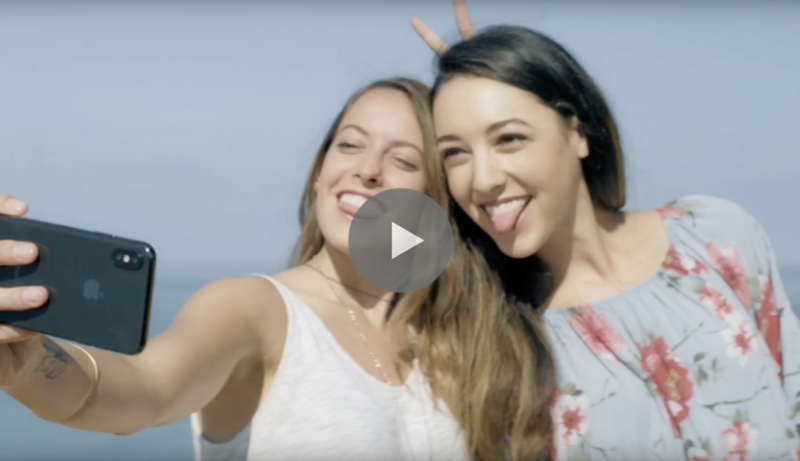 24me + Booking.com – As of today, you can book a hotel anywhere around the globe with a single tap from 24me. This is a result of a new partnership with booking.com which makes your hotel booking experience much simpler. You can either add a new task for a planned trip, or use the shortcut bar when you’re adding a new item. Gifts Marketplace – This holidays season – we have your back! No more last minute gift shopping. We have added hundreds of new beautiful gifts from top-selling vendors. You can now access the gifts catalog by adding a “gift” task, or tapping on the gift buttons added by 24me next to events that the assistant detected as “giftable”. The gifts marketplace is available in the U.S region. Watch the video of the gifts marketplace. Time zone support – you can now schedule meetings worldwide and choose the relevant time zone. Task Completion made easier – Complete your tasks right from the notification center and from 24me’s Widget. Hello world – We are becoming more international. 24me V includes 14 different languages including Traditional Chinese. Support for new iOS11 features – 24me V is available for Apple Watch, supports iOS11 with Drag and Drop, SiriKit Extension, StoreKit and Password autofill. Update 24me and enjoy the the latest and greatest personal assistant. As Always, we would love to hear your reviews and suggestions. Leave us your comments below and let us know what you think about 24me V.